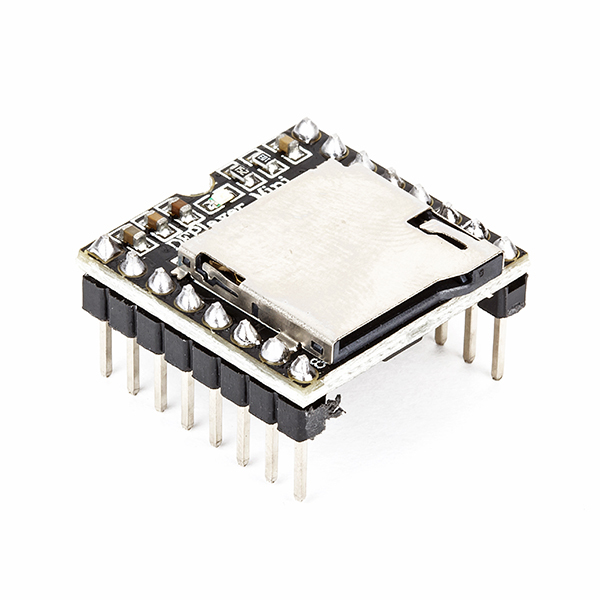 So small, its markings can only be properly seen through a microscope or magnifying glass, the Broadcom BCM43438 chip provides 2.4GHz 802.11n wireless LAN, Bluetooth Low Energy, and Bluetooth 4.1 Classic radio support. 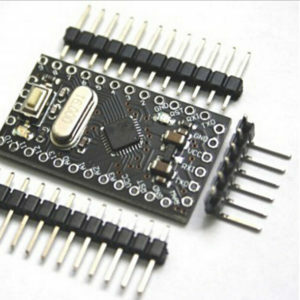 Cleverly built directly onto the board to keep costs down, rather than the more common fully qualified module approach, its only unused feature is a disconnected FM radio receiver. There’s no need to connect an external antenna to the Raspberry Pi 3. Its radios are connected to this chip antenna soldered directly to the board, in order to keep the size of the device to a minimum. Despite its diminutive stature, this antenna should be more than capable of picking up wireless LAN and Bluetooth signals – even through walls. Built specifically for the new Pi 3, the Broadcom BCM2837 system-on-chip (SoC) includes four high-performance ARM Cortex-A53 processing cores running at 1.2GHz with 32kB Level 1 and 512kB Level 2 cache memory, a VideoCore IV graphics processor, and is linked to a 1GB LPDDR2 memory module on the rear of the board. The Raspberry Pi 3 features the same 40-pin general-purpose input-output (GPIO) header as all the Pis going back to the Model B+ and Model A+. Any existing GPIO hardware will work without modification; the only change is a switch to which UART is exposed on the GPIO’s pins, but that’s handled internally by the operating system. 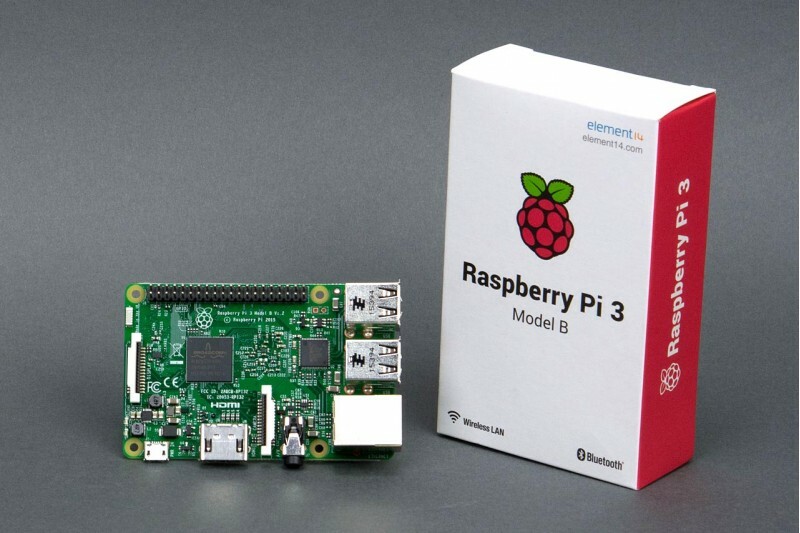 The Raspberry Pi 3 shares the same SMSC LAN9514 chip as its predecessor, the Raspberry Pi 2, adding 10/100 Ethernet connectivity and four USB channels to the board. 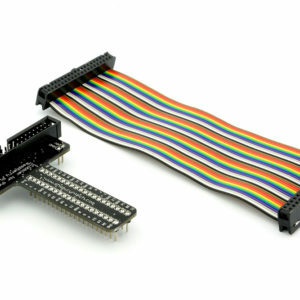 As before, the SMSC chip connects to the SoC via a single USB channel, acting as a USB-to-Ethernet adaptor and USB hub. Want to know just how much faster the new Raspberry Pi 3 is? See it pitted against its siblings in our benchmark series. Offering support for multi-threaded operation – taking advantage of the four processing cores on the Pi 2 and Pi 3 – SysBench reveals just how far we’ve come since the original Raspberry Pi design. While single-threaded performance has improved greatly, the biggest gains go to multi‐threaded programs. The Raspberry Pi’s GPIO pins are most commonly used with Python, but this leads to a CPU bottleneck. In this test, a simple RPi.GPIO program toggles a pin as rapidly as possible while a frequency counter measures how quickly it actually switches. Developed by B.A. Wichman in the 1970s as a means of measuring a computer’s speed, the Whetstone benchmark concentrates on floating-point performance. Despite its age, the benchmark offers a good insight into the peak floating-point performance of a processor. Where Whetstone measures floating-point performance, Dhrystone was developed in the 1980s by Reinhold P Weicker to measure integer – or whole-number – performance. As with its floating-point equivalent, Dhrystone is still a useful synthetic benchmark for comparing different chips. You can’t get extra performance without a few sacrifices. The Pi 3 draws the most power of the test group, but its extra performance means it spends more time at idle. Those looking for maximum battery life should look at the Model A+ or the Pi Zero as an alternative.